Microsoft blogger Steven Sinofsky discusses new file management improvements in Windows 8, you can read it over here. 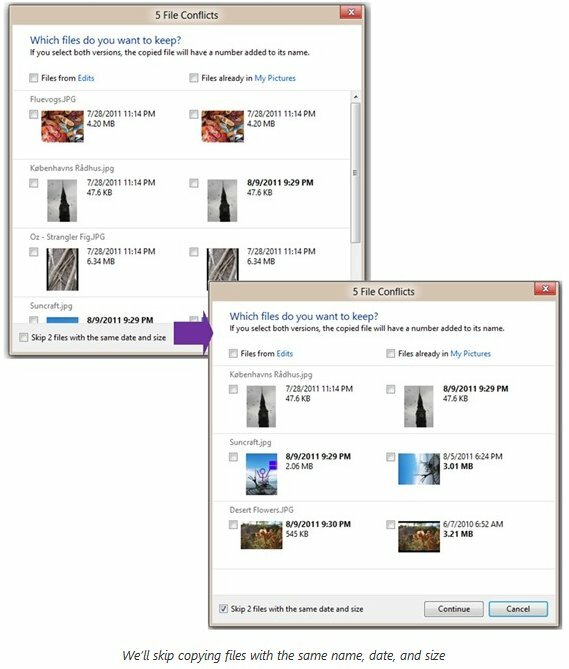 We previously published three blog posts that discussed the new file management experience in Windows 8: one about the new copy experience, one that detailed the design process we went through for the new conflict experience and one about the changes to Windows Explorer, including the introduction of the ribbon. Those posts prompted great discussion and we read the approximately 2200 comments you left. This was wonderful feedback for us, and, along with information from our other feedback channels, we incorporated it into our design process.